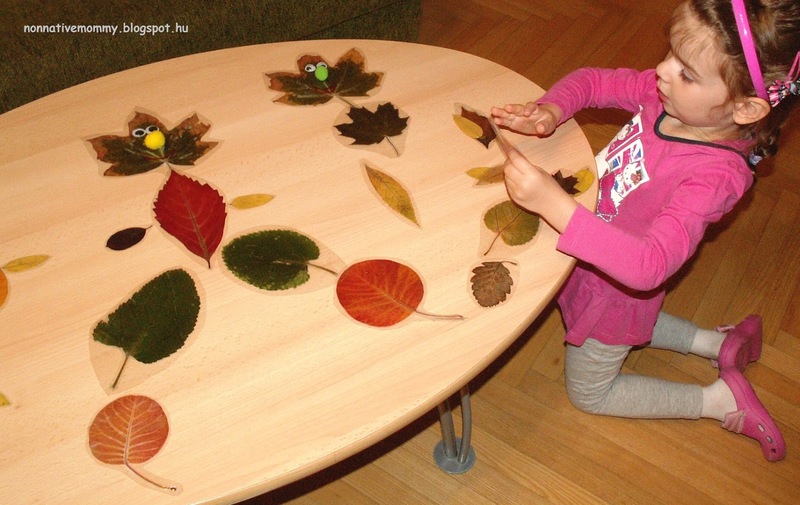 I need to share another autumn fun. As soon as I saw it on pinterest I fell in love with it. 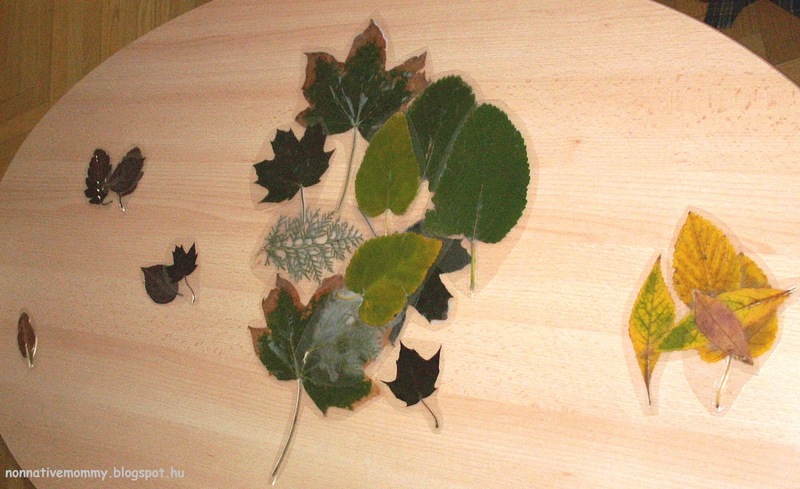 Laminated leaves. 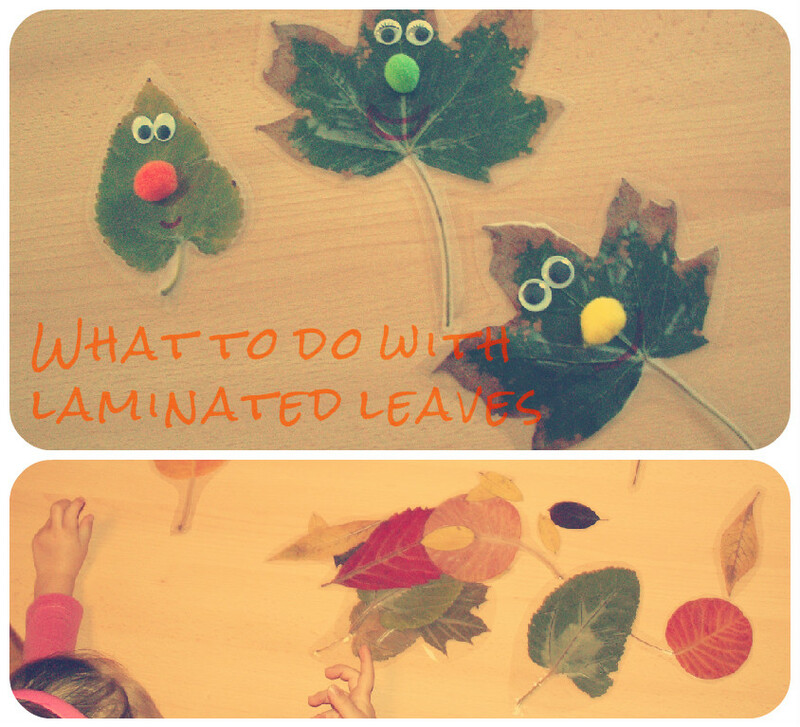 I found the laminated leaves idea there; just click on the link to get to the original idea. First, I pressed the leaves a little. They were not totally dry when I laminated them so they kept some of their flexibility during lamination. 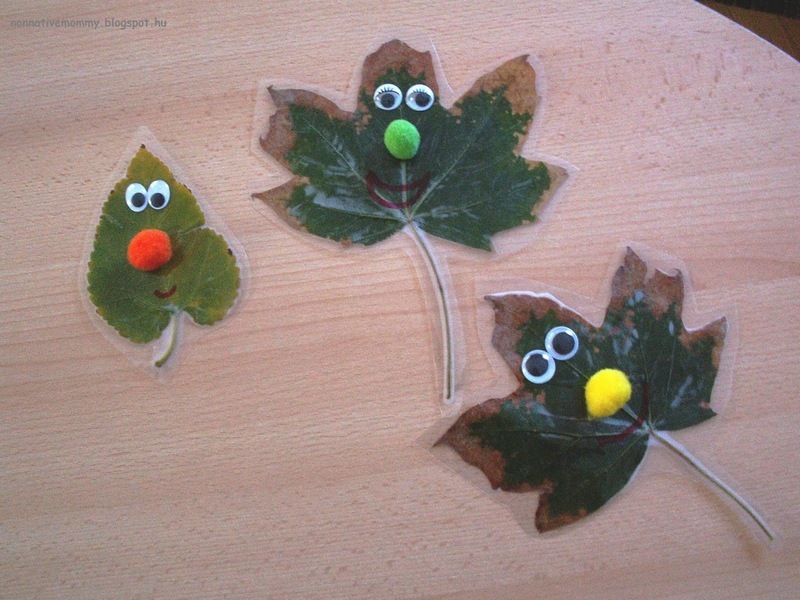 I didn’t add magnets as it was suggested, maybe next year we’ll do this activity again and display them on the fridge. 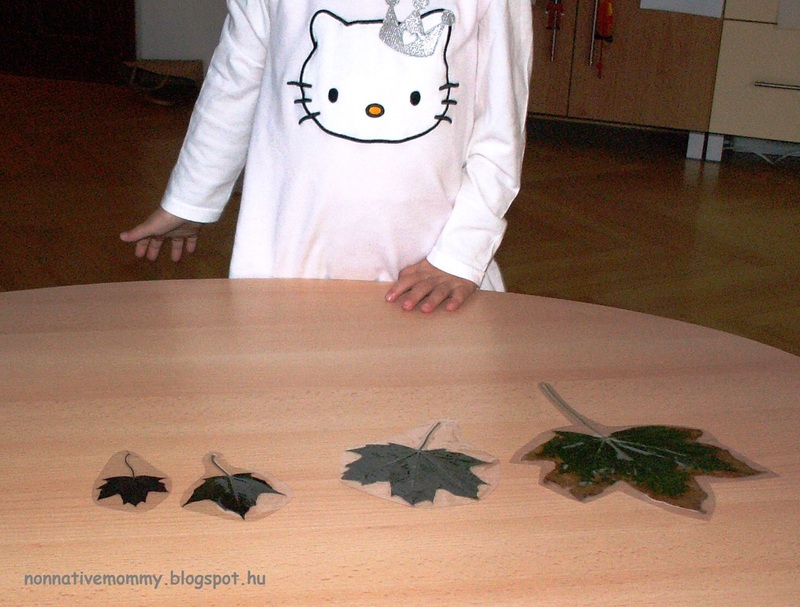 You can see here the nice new orange and red leaves we found in the park. The big middle figure is Daddy, because “He’s soooo big”. 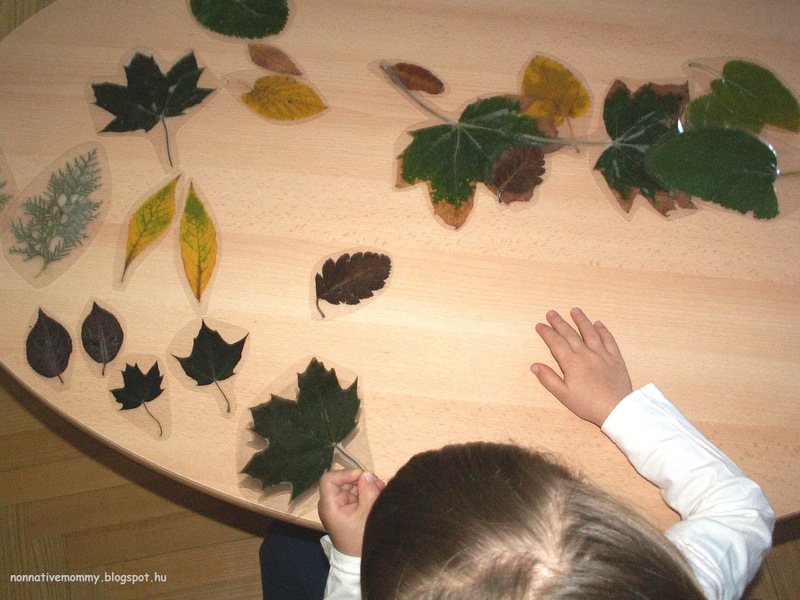 I didn’t manage to take photos of this activity, but you can use the laminated leaves under a sheet of paper and use a pencil or crayon to rub on the sheet. The veins and edges of leaves will come through really nicely. Or you can check it out on the link above where the idea comes from. Or you can check out my Autumn pinterest board for more ideas.